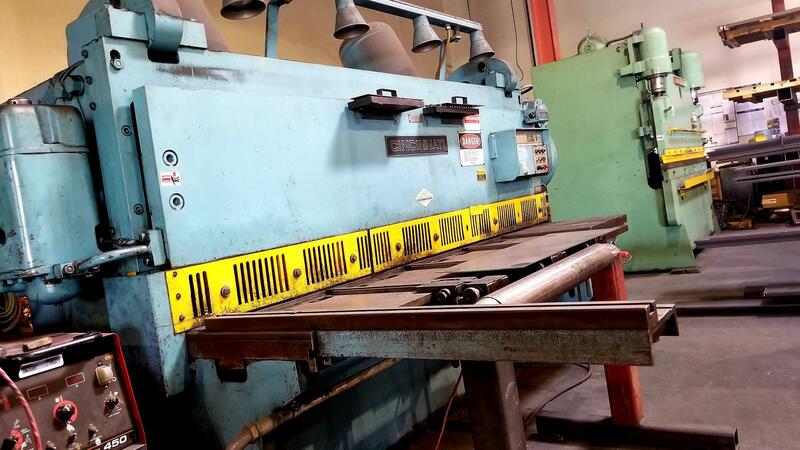 -Capable of drilling holes up to 1-9/16” diameter and any thickness up to 10"
Press brakes can exert hundreds or even thousands of tons of force, leading them to be used for huge steel plates and other heavy-duty bending applications. 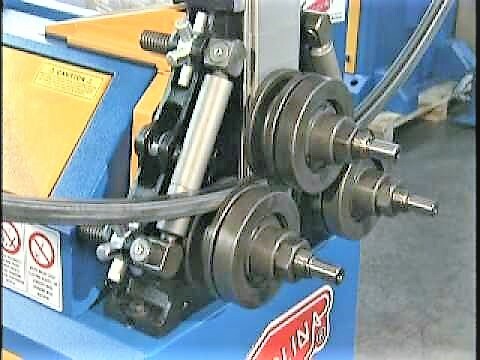 The press operates synchronized hydraulic cylinders on the C-frames that move the ram. Our precision machines provide accelerated and precise results, every time. A.K. 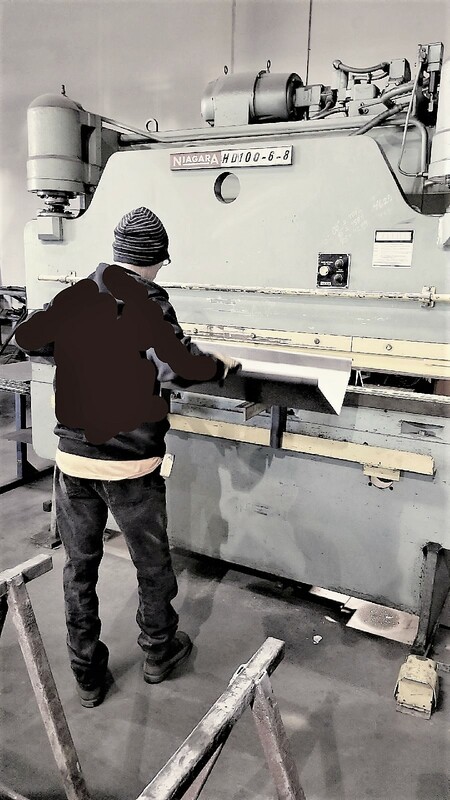 Ram has shearing capabilities for any type of metal in sheet and plate form, to your exact specifications. 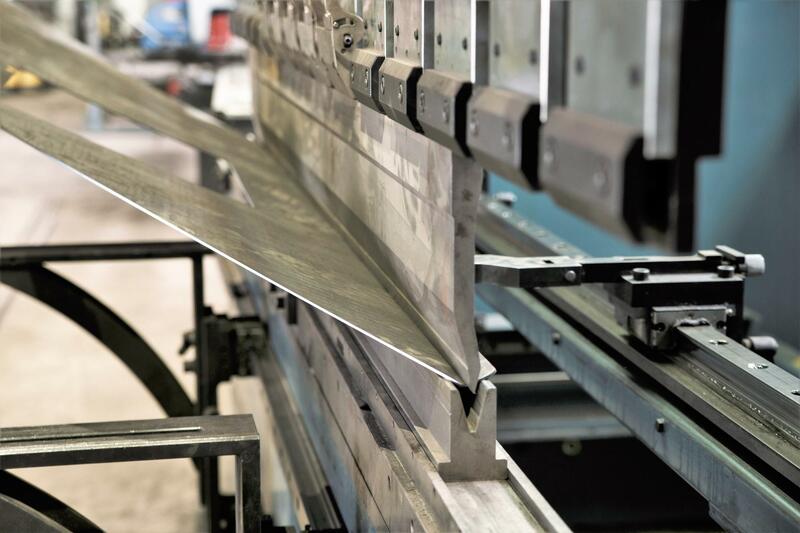 SteelMade can shear in a wide variety of thicknesses. Our shears produce a straight, clean cut with no burred edges or uneven lines. 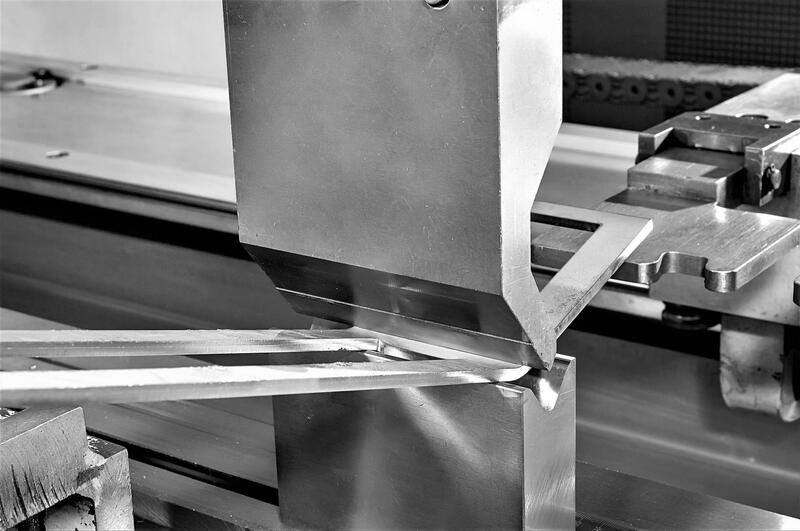 Our highly-trained staff will ensure the metal is sheared accurately the first time. 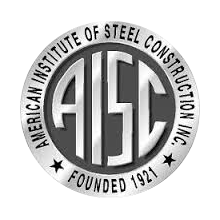 Create clean and quick holes in sheet metal and a variety of steel shapes and sizes. A metal punch is a guaranteed time saver over manually drilling repetitious holes. Punching is available in both hydraulic as well as manual operation with varying capacities. 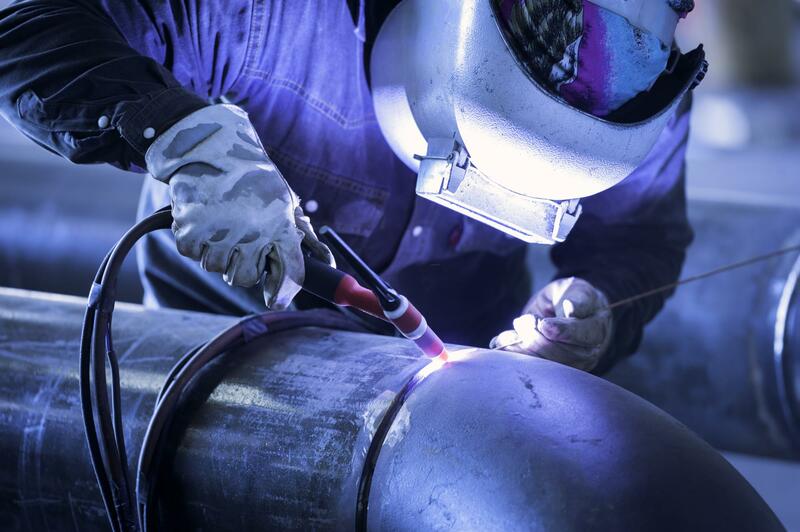 Our highly skilled staff is capable of welding any and all processes and positions. A.K. Ram offers a professional and certified crew that is fast paced while still achieving accurate and quality products. All material is double checked under our specific guidelines of quality control. A.K. 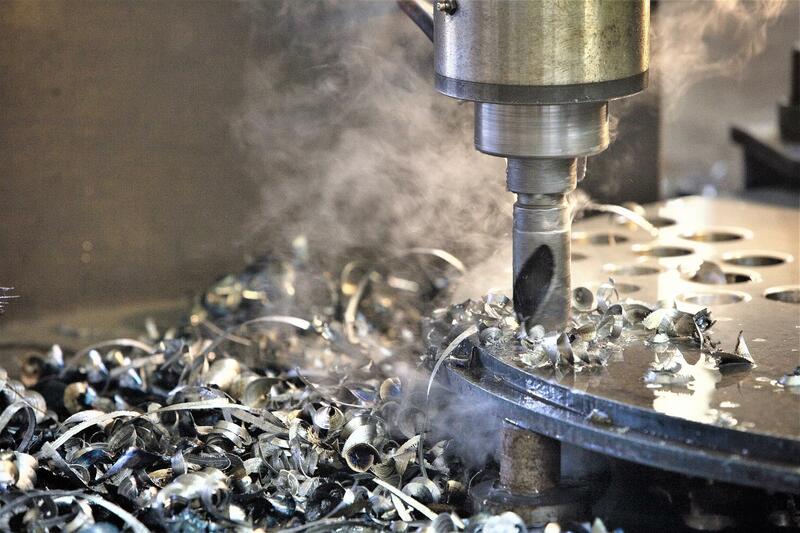 Ram offers a multitude of value added processes at a single facility including welding, cutting, forming and machining. 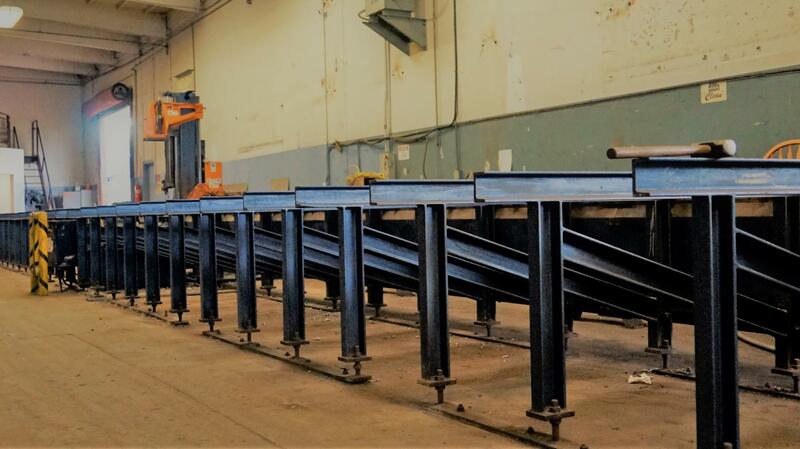 Our full service fabrication shop adds additional value to our customers by limiting the need of employing personnel or locating multiple vendors for different services.